Twenty years of experience in new and existing residential, industrial, agricultural, commercial and controls electrical work. We embrace challenge with skill and integrity; our motto is "The impossible just takes longer." We are an electrical contractor servicing Central Alberta. We specialize in home automation,lighting control, audio systems, video surveillance and motorized shades. 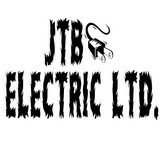 Since 2007, we have been serving satisfied residential and commercial clients within Camrose and the surrounding area providing them with reliable, cost effective electrical services. We're on call 24/7 to respond quickly to your electrical emergency. 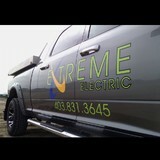 Extreme Electric company provides residential and commercial electrical solutions in central Alberta for both new buildings and also any renovations or additions, all custom work done to your specific needs by an industry certified Master electrician with years of experience in commercial and residential work. We specialize in custom homes, commercial, agricultural and green solutions. We strive to get the job done in a timely manner at a competitive price. We have the power to make it right for you!!! What do licensed Lacombe electricians do? An electrical contractor plans, installs and repairs wiring in structures. He or she works closely with the home’s general contractor or remodeling contractor to determine the specific electrical needs for the project and to ensure that the wiring will meet Lacombe, AB building codes. An electrical contractor’s job also includes installing and repairing fixtures, switches and other visible components of electrical systems. With today’s technological needs and advances, many electricians in Lacombe, AB also are trained to install fiber optic and coaxial cables for electronic equipment. Certain electrical companies may design and install data systems and wire for security features such as alarms too. Some Lacombe electrical contractors specialize in specific areas, such as HVAC, low-voltage appliances and systems and more, so be sure to ask about their training to see if it fits your project needs. Find a certified Lacombe electrician on Houzz. 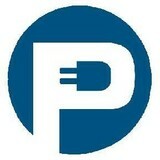 Narrow your search in the Professionals section of the website to Lacombe, AB electrical contractors. Here are some related professionals and vendors to complement the work of electricians: Lighting Showrooms & Sales, General Contractors, Solar Energy Contractors, Heating & Cooling Sales & Repair.